Product Preview: Relatively Hip Happy Labbit Plush Mini Series! Ironic facial hair, check. Ten new totally Labbit and relatively hip designs featuring circus inspired ‘stache’s, capes, beards, monocles, and other odd but not quite obscure accessories. Throw one on your fixie handlebars, add some silliness to your Pitchfork VIP pass, or tie him to your canvas tote. Happy Labbit is always up for adventure. Arriving when its cool, February 20 at Kidrobot stores, kidrobot.com, and select retailers. Each Relatively Hip Happy Labbit retails for $4.99. Labbit is a rabbit character created by pop artist Frank Kozik and first featured in Kozik’s ninties rock poster art. 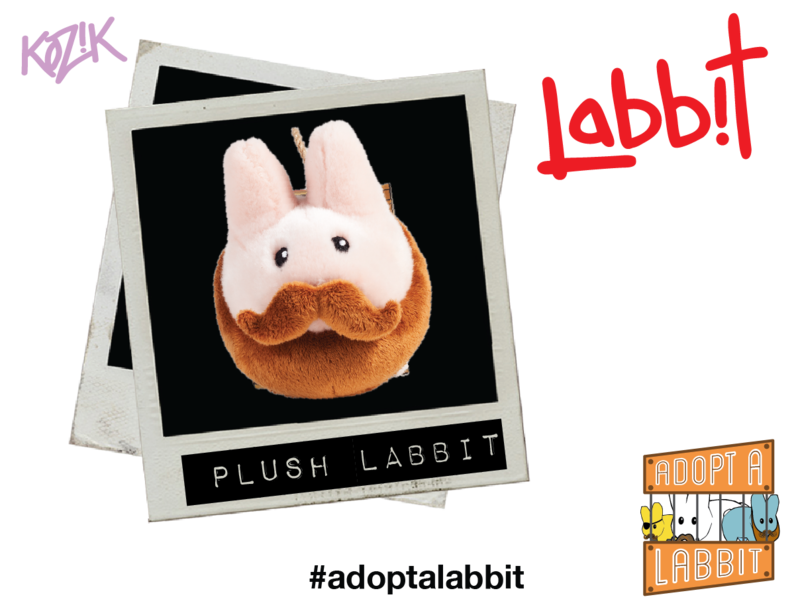 Most famous in the original smorkin’ variety, Labbit can also be found sporting a handsome ‘Stache.